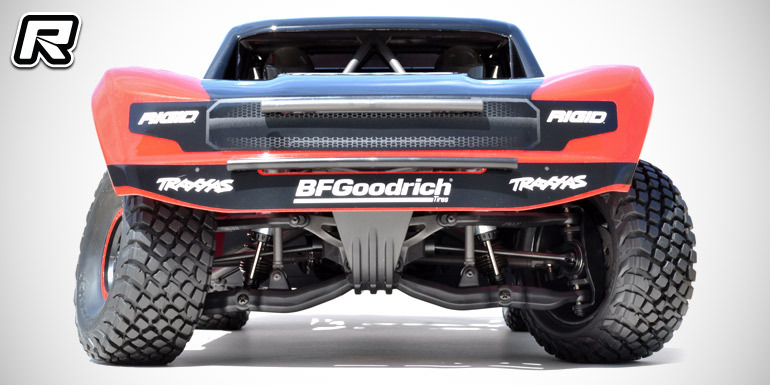 Coming from RPM is a set of front lower A-arms for the Traxxas Unlimited Desert Racer truck. The A-arms are redesigned from the ground up with one goal in mind – making them tougher and building a completely new, original, one-piece A-arm designed with the UDR’s needs in mind. The designers beefed up the support arms in the direction of suspension travel and changed the angle of the A-arm at the pivot ball to improve clearance at the axle carrier. The updated design also counters the fact that the stock arms actually contact the steering bellcrank at full suspension compression and with the wheels turned. Extra clearance on the new parts means less chance of a bottomed-out suspension breaking the bellcrank. Other improvements include slop reduction for improved precision. The arms replace the Traxxas #8532 and #8533 arms and they come in pairs. The post RPM Traxxas UDR front lower A-arms appeared first on Red RC - RC Car News.